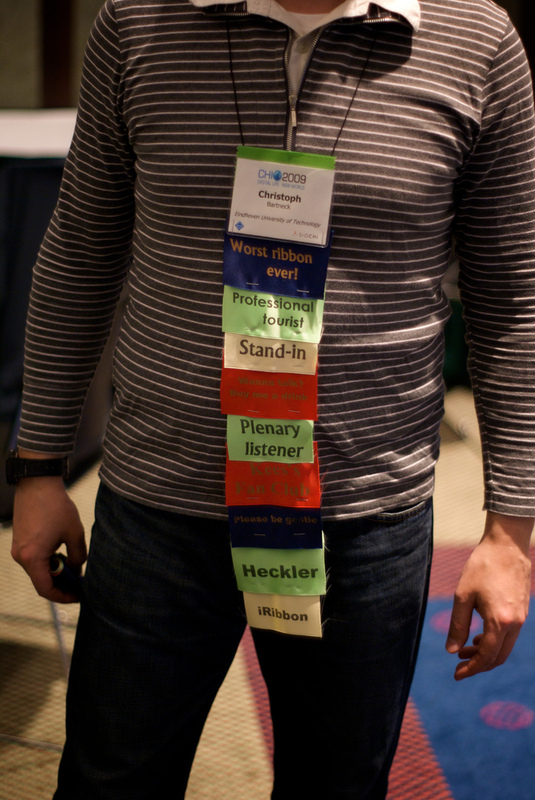 CHI2009 Ribbons | Christoph Bartneck, Ph.D.
For the CHI2009 conference, we prepared unofficial ribbons and distributed them amongst the attendees. 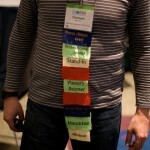 We were inspired by Brad Myers collection of CHI conference badges and ribbons. All of our 400 ribbons were gone at the end of the conference and a photo of the table on which the ribbons were presented was shown during the closing session’s slide show. It was just great fun. Below you see my conference badge and I found a few other pictures [picture1, picture2].